I have been so busy these last few days that I didn't even realise that it's Thursday already. But oh well, on to the interesting stuff. Today I have nail polish swatches for you. As you might know I am a huge fan of Anna Sui cosmetics, especially nail polishes. So as soon as I saw the fall collection for this year I was dying to get my hands on these babies. Finding all of them was a bit tricky as a couple of colours were sold out all over Tokyo but in the end I managed to locate them in Odaiba yay. These polishes are basically flakies in white, pink, brown, blue and purple. 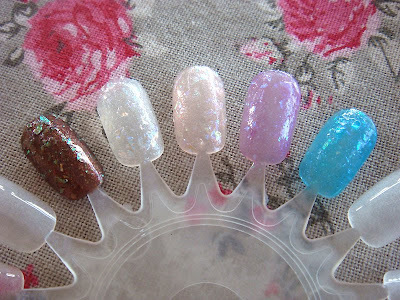 They are sheer and the flakies are super sparkly. 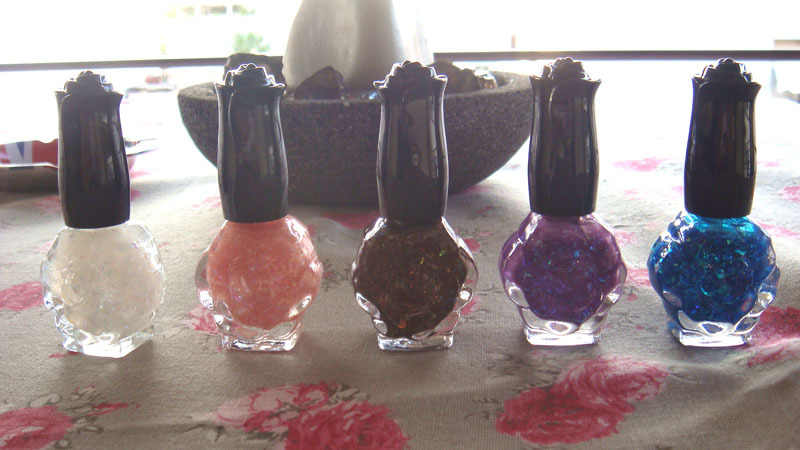 And don't forget the awesome rose smell that all Anna Sui polishes give off. oh my gosh, I must get these! I just found your blog through google blog search and I love it! And these look gorgeous, but I don't think I can afford Anna Sui right now :(. 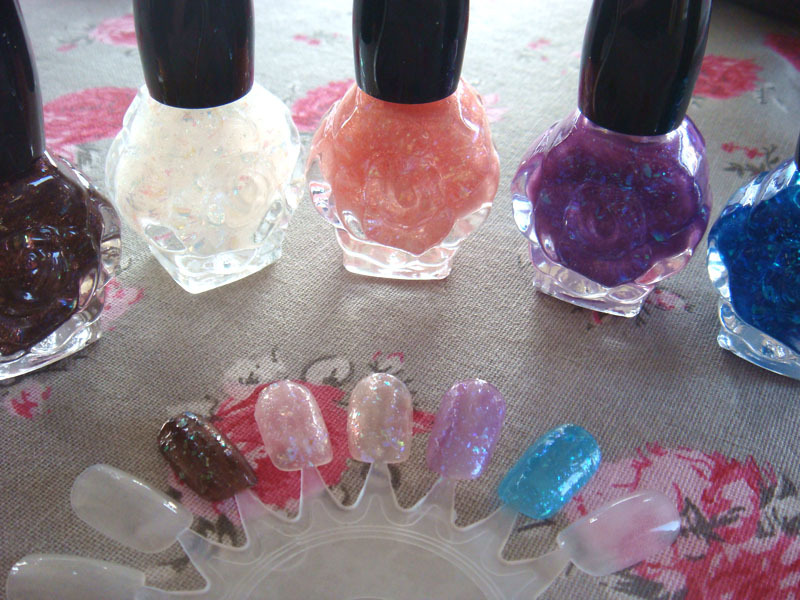 If you live outside Asia, these polishes can be found on ebay but they can turn out to be a tad pricey.